Unsurprisingly, the complaint was filed in the same district as the previous, successful suit, in Tyler, Tex. Patent infringement suits are frequently filed in the Eastern District of Texas because of their historically favorable outcomes toward intellectual property holders, who are frequently derided as "patent trolls" for seeking money from patent infringement suits. 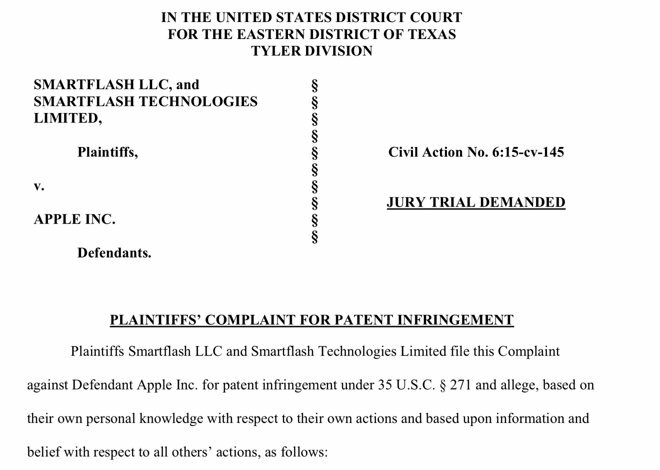 Smartflash had its latest complaint ready to go immediately, as the new suit already cites the Feb. 24 decision, in which Apple was ordered to pay $533 million for infringing on gaming patents. 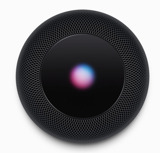 Apple has already said it will appeal that decision, and in a statement to Bloomberg the company indicated it plans to push back hard. "Smartflash makes no products, has no employees, creates no jobs, has no U.S. presence, and is exploiting our patent system to seek royalties for technology Apple invented," a spokeswoman said. "We refused to pay off this company for the ideas our employees spent years innovating and unfortunately we have been left with no choice but to take up this fight through the court system." Smartflash was founded by inventor Patrick Racz in the early 2000s as a way to market and commoditize his patents, some of which date back to 1999. As a non-practicing entity, the firm operates solely through patent licensing and litigation. Using its clutch of seven patents, all attributed to co-inventor Racz, the firm sued game makers Game Circus and KingsIsle Entertainment in 2014. Both companies settled out of court. Court documents, both in the previous suit and this week's new complaint, allege that around the time of Smartflash's founding, Racz met with executives from what is now Gemalto SA to market technology relating to the patents-in-suit. Among those who gained knowledge of the patented tech was Augustin Farrugia, who left Gemalto in 2002 and subsequently took a position as Apple's senior director of Internet service security and DRM technologies.